Don considered becoming a band leader at the time, and formed a band that some in Rochester may still remember — The Twilights, with Don Noga on the accordion, leading the players. But duty called, and Don found himself in the United States Army from 1966 through 1967. On returning to civilian life, Don entered the electronics profession, working under a licensed electrician, Joseph Rebis. He worked and trained at Bausch & Lomb as an electrician and then as an electronic technician working on vacuum coaters and high voltage power supplies. Don Brown, Ron Miller, and Bill Smith were his mentors during those years, until Don became involved in the security business through a relative, Stanley Wolak. With the help of Bob’s mentoring and instruction, and the mentoring of his cousin Vincent, a General Dynamics engineer who was the first to get him interested in electronics, Don quickly learned the ins and outs of the security business, and eventually he and his best friend at the time, Stan Chizuk, formed their own small business, Current Electric Company. As Don began doing more and more security, burglar, and fire alarm systems work, the firm increasingly devoted itself focus to providing top-quality security devices and services to businesses and residential homes. 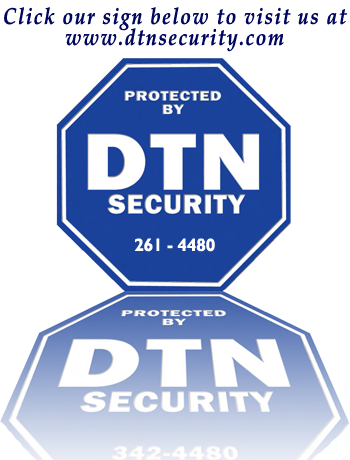 Soon a new business was formed that reflected that new focus: DTN Security, after the initials of Don’s name. Soon hundreds of firms and people in the Rochester and surrounding areas became clients. And as the business grew, so did Don’s skills and honors: he went on to master manufacturers’ training by Honeywell, Simplex, Ademco, Napco, Firelight, Silent Knight, FBI Detection systems, Bosch, GE, ITI and DSC; received National Burglar and Fire Alarm Association testing and training; received New York Burglar and Fire Alarm Association training; and finally was licensed by the Department of the State of New York to provide fire and burglar alarm system installations including closed-circuit TV, access control, and environmental protection. The fast growth of DTN Security was also a testimony to Don’s stature as an innovative business person, involved with groups ranging from the Rochester Institute of Technology to the Rochester Business Alliance and Webster Chamber of Commerce and more. 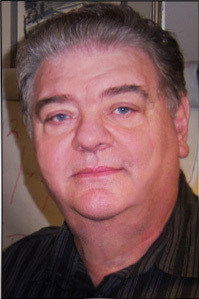 Don’s love of his business led him to complete ongoing courses at RIT, to receive coaching from the Brockport Small Business Development Center, to attend seminars and training by the then-Rochester Chamber of Commerce, and to complete several Dale Carnegie, Tom Hopkins and Brian Tracy business courses, as well as to master computer technology courses at New Horizons and Element K.
But he admits that the main love of his life today (apart from his wife Lillian, and his fascination with effective cutting-edge security systems) is his dog Buddy.